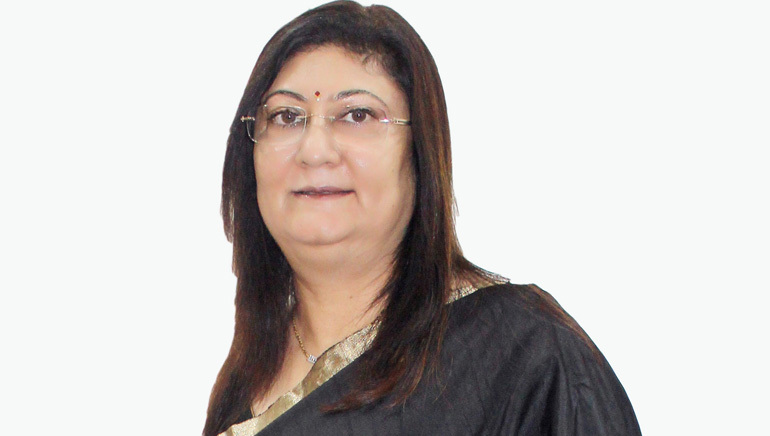 In today’s era of unrestrained commercialization of healthcare services, Dr. Minnie Bodhanwala is a noble soul whose philanthropic & charitable endeavors have helped save precious lives, & have restored the confidence of common man in the virtuous profession of doctors. As the CEO of two charitable semi-government hospitals in Mumbai, Dr. Minnie’s dedication towards improving the standard of healthcare services in India, and her excellent vision to maintain these services affordable yet at par with top corporate hospitals is worth a thousand salutes. For the last 30 years, she has been minutely analyzing the needs and then serving people with rare health conditions, which are ignored by other hospitals in want of proper facilities or because their treatment is not profitable. Dr. Minnie is the CEO of Bai Jerbai Wadia Hospital for Children and Nowrosjee Wadia Maternity Hospital. She is also the Advisor to the Chairman of Wadia Group for CSR activities, Advisor to Impact India Foundation by UNDP, UNICEF and WHO. Her vision and efforts in multitudinous directions have not only helped her establish strong roots of her two hospitals, they have also inspired world bodies to come forward and establish strong ties for the betterment of humankind. Thus, she has successfully set up community projects in dental health for Impact India Foundation by UNDP, UNICEF and WHO for their “Hospital-on-Wheels” project. She has also arranged dental camps at Mandsaur (Madhya Pradesh), Udaipur (Rajasthan), Gauriganj (Uttar Pradesh) thus helping thousands of poor people in these States. Her innovative efforts have resulted in Wadia hospitals hosting the largest national intensive care unit (NICU). In addition, the pediatric hospital has started catering to about 30 sub-specialties, thus providing comprehensive healthcare services to children under one roof. Due to her consistent efforts, the hospitals now have a dedicated Nodal Centre for Clubfoot Treatment in Maharashtra, and a dedicated clinic for Cancer, Malnutrition, HIV, TB, Epilepsy, Occupational Therapy, etc. Her hospitals have also established a Human Milk Bank and a clinic for children suffering with Multiple Disabilities and Vision Impairment, which is one-of-a-kind initiative in Maharashtra. The IVF Center established at Wadia Hospitals under her leadership have proved to be a blessing for poor patients. Dr. Minnie is the person behind the launch of the Little Hearts Marathon. The objective of organizing this marathon is two-fold. Through this annual social event, she not only aspires to help spread awareness for prevention of cardiac diseases among children, she is also able to collect funds for those children who suffer from cardiac diseases but cannot afford expensive surgeries that are the only option for their survival. With the help of funds collected through the marathon, Wadia hospitals have so far funded more than 26 cardiac surgeries for the underprivileged children. Further, with the funds, these hospitals would very soon start their own cardiac center, which is expected to save about 1,200 lives of poor children every year. Under her guidance, several medical camps have been organized at Rikhiapeeth Ashram in Deoghar District in Jharkhand, where more than 45,000 poor women and children have been treated.